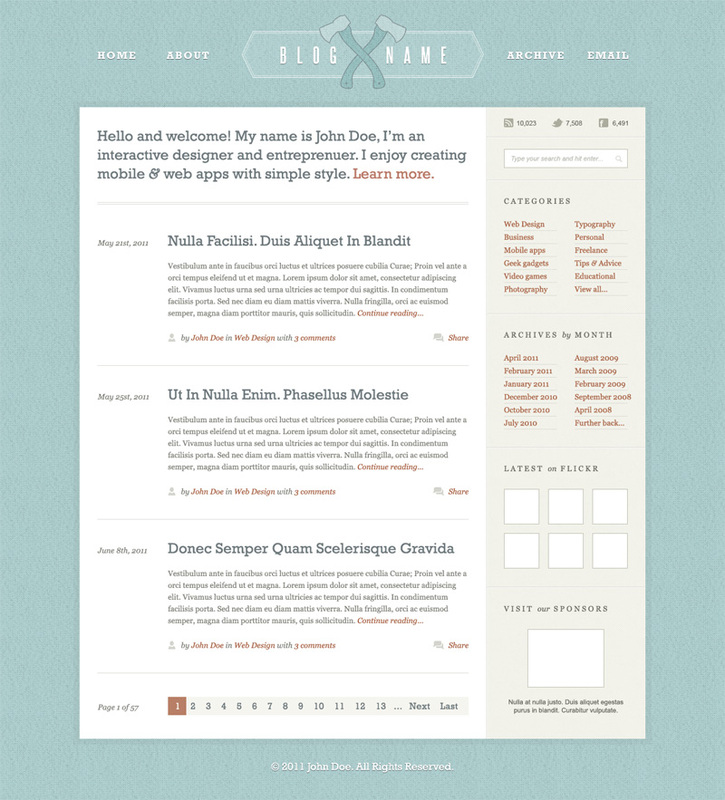 Adrian Pelletier is a self-employed web designer based out the US. He occasionally writes about design and business topics at his personal site and gives away free files at Design Kindle. The simplicity of your designs is genius. Love it. Awesome design! Great font choice and minimalist work. Thanks for sharing! I love the 2 column categories and archives sections! Thanks, Adrian and Orman! I absolutely love the colors and layout. is there anyone who’s got something like this one? I simply love the color scheme and fonts… well done. Simple and unique. I agree with Fabrizo, the colors are great!